Inside a refurbished elementary school building in Steubenville, Ohio lies a bustling small manufacturing business. Veiled by its nondescript, red brick exterior and curious location, Nelson’s is a rust belt town’s favorite hidden gem. In a way, the building itself evokes the company’s mission: to make the ordinary beautiful, and the beautiful, tangible. When Mark and Gretchen Nelson married in 1992, they sought to make marriage, a common and ordinary institution, beautiful. 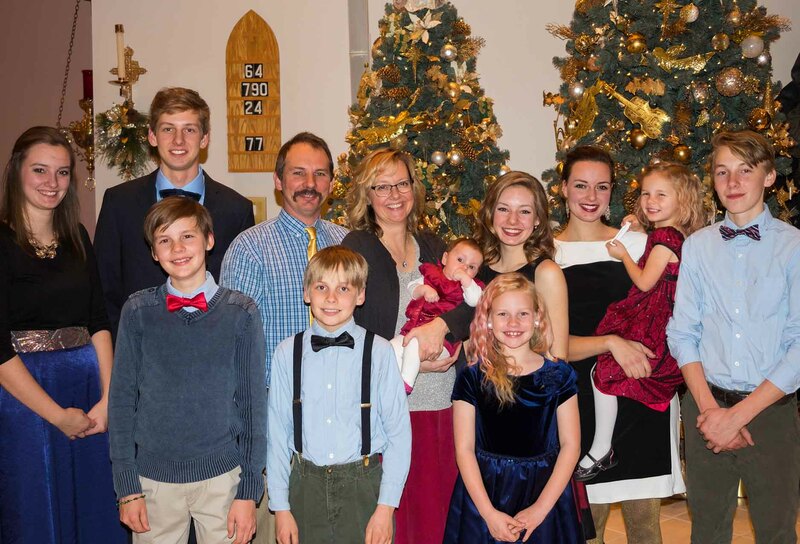 They demonstrated this commitment by making their marriage tangible, and ten children later, the Nelson’s continue to live out their mission. In 1994, when Mark took ownership of the woodworking business of his high school mentor and employer, Fr. Sam Tiesi of Franciscan University, he repurposed, rebuilt, and expanded Fr. Sam’s woodshop and customer base. Then Mark set about the business of making things beautiful. The first products his company produced—common religious art and inspirational plaques—became beautiful, and at Mark Nelson’s insistence, artistic masterpieces and graphic excellence began to replace the ordinary, mass produced kitsch that the marketplace had accepted for too long. Now utilizing a full spectrum of in-house services and custom manufacturing options, Nelson’s continues to live its mission in the visible, tangible ways Mark and Gretchen have always believed in. You are invited to come, call, or click, and see what the Nelson family can create for you today. Empowering others to touch and hold beautiful things is what they do best.